Z tzw nudów stwierdziłem że złoże ten wątek, tak aby jeszcze bardziej przybliżyć grę oraz aby w jednym miejscu pokazać zmiany jakie zaszły w grze 9patche) dla oób które grały, ale grę porzuciły. Post bedzie raczej po angielsku, bo nie chce mi się tego wszystkiego tłumaczyc, a informacji będzie sporo - tak więc, milego czytania i może ktoś się grą zainteresuje. Rainbow Six: Siege is a different type of first person shooter from most. At first glance it may appear like a standard multiplayer, but if you play it like that you’ll regret it – or your teammates will. With that in mind we have some Rainbow Six: Siege tips and tricks to help you survive and thrive. When you first start Rainbow Six: Siege, you’ll be funneled into the “Situations” game mode. This is a single player mode that doubles as a tutorial; you can quit it after you complete the first situation, but you should consider playing through most of them. Ideally, you should play them all. It informs you of the gameplay, and you earn a lot of points you can use to improve the multiplayer experience. Each mission has its own primary goal, as well as three sub-objectives. These sub-objectives change per mission (although there are a lot of repeats), but they aren’t required. Completing them benefits you, but they’re not necessary to progress. In total, there are 10 single player mission, and one bonus co-op mission. That said, it’s worth trying to complete the objectives to earn the additional Renown Points – the in-game currency you earn and use to unlock new characters and items. Earning a fair amount of points before you jump into online play will make things significantly easier, since you will be able to purchase operators and weapon upgrades using the points you earn in the Situations. You will also get a feel for the game and the game modes. If you need, you can also go back and play the missions for additional points at any time. Beyond that though, play the Situations once or twice and move on. There are 30 objectives in total. Enemies wearing white jackets are packed with explosives. Run from them until you can take them out from a distance. 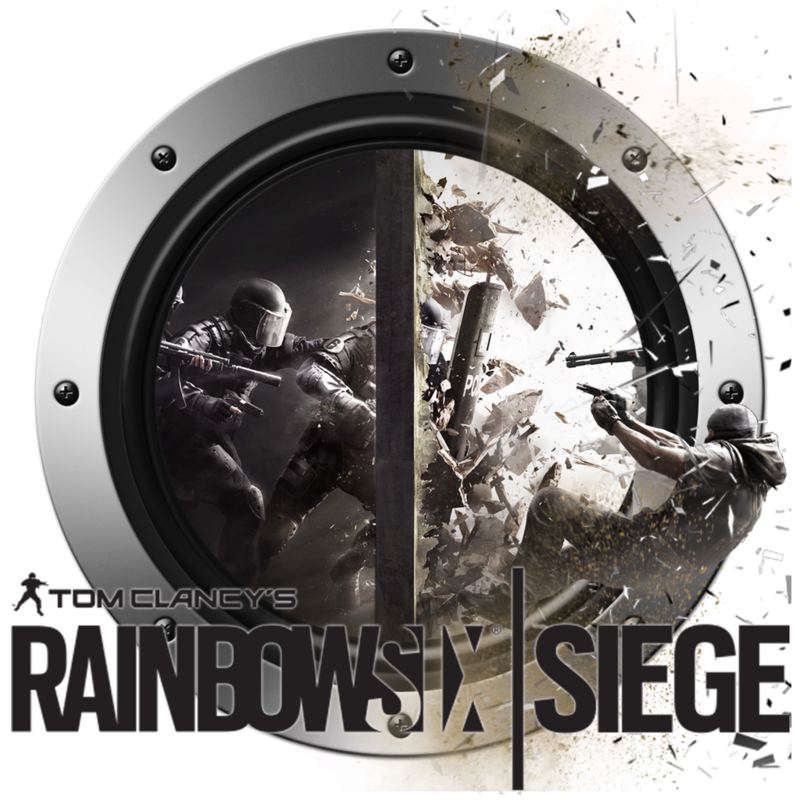 Rainbow Six: Siege is designed as an online multiplayer game. The single player is almost an afterthought, and it’s there more to help you prepare for the multiplayer than as a standalone mode. Given that Siege is meant to be played online with other people, there are certain best practices that you should adopt regardless of which game mode you are playing in. To begin with, have a headset. This might seem like obvious advise, but a surprising number of people continue to play Siege without one. It’s not like you can’t play the game without a headset, but you are missing a huge aspect of the game: teamwork. If you aren’t interested in coordinating your attacks you may want to consider a different game altogether. It’s sort of like playing a FPS but only using melee attacks. You’re missing a huge part of the game. The multiplayer mode is designed as a 5v5 fight, with each team taking on a specific role of either attacking or defending. The objectives change, but you can – and likely more often than not will – win the round by killing everyone on the opposing team. There are currently 10 multiplayer maps (with more on the way via DLC), and three game modes: Bomb, Hostage, and Secure. When you rappel, you can flip upside down, move side-to-side, and fast rappel to the ground quickly. When rappelling, put a hole in a window to look in and draw fire. If it is open, feel free to jump in, but you can also use it to distract enemies and move to another entrance. The drones are one of the most important – and unsung – tools in the game. Use them to mark the enemies, but if possible, keep them hidden when the preparation mode ends. Once the attack round begins, you can then call them back up from wherever you left them. Play the game in stereo. Listen for gunfire, footsteps, and explosions for a sense of where opponents are. Stick with a teammate or group. Lone wolves are a liability to themselves and the team. Once in the building, you can attack from multiple angles – including above and below. Look for hatches in the floor/ceiling, and use them to your advantage. One of the most unique and important aspects of Siege is the ability to destroy objects, especially walls. Get in the habit of firing through walls. You have two drones. Use them. Take your time. There is a time limit, but you don’t need to rush. Use breaches as a distraction. Locate and destroy outside cameras as you are on approach. Destroy the drones when you see them. The attackers can activate them later, so take away their advantage. Barricade everything – but make sure to leave yourself a path to your final defensive spot. If you need to destroy a barricade, don’t hesitate – just be sure to replace it. Each character has two metal barricades that you can place on otherwise destructible walls. Coordinate with your teammates to reinforce sensitive areas. Play the game in stereo. The audio cues are a vital component to defense, as they tell you where the attackers are coming in. Silencers can be a huge benefit to help mask the locations of defenders. Signal jammers are a hugely underutilized tool. They can do little things like take out drones, but they can also stop the signal to detonate a breach charge. Hide on or next to a dead body, and it can give you an extra second or two before an opponent sees you. Each team can have up to five specific operators, but there can only be one of each type. Ideally, each player will coordinate and pick players that compliment each other – realistically though, it is a race to get to certain operators. Be fast, or master an operator that is less popular than others. You can place a pointer for your teammates. If you hate seeing those markers though (it can be distracting and overused), you can turn it off in the options screen. If you can’t get the operator(s) you want, you may want to go with the “Recruit,” which allows you to pick any weapon you want. Do all the little things that can earn you XP. Sure, it’s just good tactics to destroy drones and put up barricades, but they also earn you a few points. Crouch and go prone often. It steadies your aim and limits your exposed areas. Don’t use the same tactics every round. Mix things up. Attack from new angles, and consider using different operators. Use the cameras to mark opponents – but don’t overdue it, it can get distracting. Like everything else, it’s far more effective to spot opponents and call them out when you are communicating with teammates. C4 is useful for either team. When you find a team you like, stick with them. There’s an option between rounds, just hit the button. Certain operators work best against others. If you see a particular type being used often, learn to counteract it. If you die, you can still help out by going through active feeds and calling out enemies. The Terrorist Hunt is a PvE mode, with up to five players taking on enemies. It’s a great way to get used to the game, but it isn’t easy. You need to approach it like a multiplayer mode, and utilize tactics. Beyond not playing against real people, the other main difference is that you’ll face several AI enemies. Stay aware, and stay vigilant. Work towards completing the mode’s objective, and let the enemy come to you. There are four Terrorist Hunt modes: Terrorist Hunt Classic, Extract Hostage, Protect Hostage, and Disarm Bomb. Play in Hard and Realistic to earn extra XP. Coordinate with your teammates, and deploy strategically. There’s no right or wrong way – you may want to stay as a group, work in smaller teams, or attack from multiple angles and rendezvous. Learning the different Operators is going to be the difference between just playing, and masteringSiege. There are 20 operators in total, 10 attackers and 10 defenders. Each operator has their own loadout, including unique weapons and gadgets. They all have a role to play, and ideally players will coordinate with each other to find a team consisting of operatives that compliment each other. Eventually you will also want to be able to identify opposing operators, and plan accordingly. Knowing what to expect from an opposing team can make a huge difference. You purchase Operators using your Renown Points. The costs vary, but you’ll want several of them. Eventually you’ll want them all, of course, but you’ll want at least five attackers and five defenders as soon as possible – playing through the Situations and watching the tutorials will give you a decent headstart before you even start the MP. Once a player selects an operator, no one else can choose that specific operator. That means it may be a race to select an operator, but it also means you’ll want to get used to playing with a few different characters. Each operator has the option to equip one of two primary weapons, and one of two secondaries. You cannot add new weapons to a loadout, but you can customize the existing weapons in the main menu. You can only purchase new Operators in the main menu. Each Operator has their own bio, as well as a video you can watch from the menu. You can also check your individual stats, including K/D, wins, total experience, and time played. Be sure to customize the weapons on all your operators. It does cost Renown points, but not much, and the benefits are immediate. You can purchase Weapon skins using Renown Points or R6 Credits (see the Shop section for details on the R6 credits). Pick an attacker and a defender operator you like, and try to stick with them for a while until you are used to the game. If you only have enough Renown to purchase one operator, pick one other people don’t commonly use. That way you’ll have a better chance of no one else picking them. The shop plays a significant role in Rainbow Six: Siege, although for the most part you can ignore it if you prefer. In the shop you’ll find several customization options, and more importantly, boosters. R6 points can be purchased in the Shop, and they start with a 1200 pack for $9.99. They frequently run specials that earn you more points for purchasing. Boosters can be purchased in the Shop using R6 points, and these Boosters increase the amount of Renown you earn. You can purchase a single day, three days, seven days, or 30 days – but it will cost you. Check the Uplay store for things like skins. Challenges. Siege offers challenges that reward you with Renown when you complete them. They are specific and they change, and you need to hit level 15 to unlock all three slots (five slots if you purchased the Season Pass). You can find the Challenges by hitting the button next to the gun icon in the upper left corner of the main menu (the button is different by system). Boosters. You can only use one Booster at a time. Customize you experience. You can set which maps and game modes you would like to play in the options, found in the main menu. Check your NAT. As with all multiplayer games, the NAT type you have matters – ideally you want it to be “Open.” You can check your NAT type in the Options screen in the main menu. Customize your gameplay. You can tweak the gameplay in the options, beyond just things like controller layout and sensitivity. You can adjust the HUD and fine-tune it to make the game more what you like. Recoil. Each weapon in Siege has its own, noticeable recoil. Get a feel for them all, and don’t hold the trigger down with an assault rifle. Team kill. Don’t kill your teammates. It will screw your team over, and cost you points. If someone is team killing, vote to boot them. Upgrade your weapons. Upgrade weapons can make a huge difference. Communicate. We’ve said it many times, but it is worth repeating. Talk to your teammates and coordinate. If you don’t want to, find another game. Tutorials. There are three tutorials, each just a short video. Watching one earns you 200 Renown Points. Watching all three earns you 600, plus another 200 bonus. dodatkowo zostało oficjalnie potwierdzone pełne wsparcie gry w 2017 roku, czyli tak jak w tym roku co kwartał będzie wydawana nowa mapa i 2 nowych operatoró, a także będą kolejne sezony ligi ESL. Jeśli ktoś miałby ochotę kupić grę, to wg mnie powinien się spieszyć, bo aktualny season pass dający w sumie 8 operatorów kończy się na początku grudnia i nie będzie dostępny. Mi z meczu na mecz coraz bardziej się to wszystko podoba. Season passa na przyszły rok też kupuję. W każdym razie polecam wszystkim. Sam nie mogłem się do tej pozycji przekonać nawet żeby tylko stestować gameplay (nawet jak Sparr namawiał ) bo wszystkie poprzednie rainbowy testowałem u kuzyna i żaden mi jakoś na tyle nie podszedł żebym zaryzykował zakup.